Below we interview authors around the world, who we know have a child's interest at heart and whose talent and hard work has brought alive a book we read in our classroom with pleasure. Please support these authors by buying their books and leaving a review at the site where you purchased it. An A-Z alphabet book that stimulates imagination, inspires learning and encourages a lifelong thirst for natural knowledge. The illustrator, Fearn Elder, daughter of Ms. Elder, brings to life the characters portrayed in this book. Her artwork for ‘My Nature Friends’ interpreted the rhymes beautifully through her illustrations. Ngaire was born and raised in Glasgow, Scotland, where she spent most of her childhood playing with her brother and her imaginary friends. She has managed to balance a writing career and family commitments. She has participated in reading events at primary schools in County Derry, Northern Ireland, and has taught English to young children participating in the Spanish school system's extracurricular activity program. Welcome to our classroom, Ngaire. Thank you for agreeing to this interview. Where did the idea for My Nature Friends come from? My aim is to encourage children to read and to explore the great outdoors; therefore I came up with this fabulous idea, which incorporates the two. I wanted to create a book which children could use and not just read. My Nature Friends has a Field Note section where children can record their sightings whilst out and about; learning to read and write through play! Also, the sprightly illustrations can be coloured. What convinced you to write 'My Nature Friends'? "The Voices, Ms Marge. "The Voices. In my head. They told me to do it." On a more serious note, you either write or you don't, you are either inspired or you aren’t and, if you need convincing then you shouldn’t be writing! The only thing I would need to be convinced of is crossing a rope bridge; I prefer terra firma! I write when I can. Being a mother of 4 children it is impossible to have a strict writing regime. Two of my children have been unwell these last two weeks so I did no writing; I need peace and quiet to write. Fingers crossed all the lurgies have been vanquished to another dimension and I will have a disease-free house for a while to continue with the next volume in my a-z picture book series. I ‘write’ my stories in my head first, and then put pen to paper whilst researching my ideas and themes. Inspiration … my imagination inspires my writing as well as my children and their astounding zest for life. Furthermore, when school children tell me that one of my books is their favourite that too inspires me to write and write and write! We'll be looking forward to reading your next in this series. Please give us a return visit when it is printed. Other books written by Ngaire Elder. The Adventures of Cecilia Spark, a series of juvenile fiction stories, action and adventure, for girls and boys aged 5-10. We choose to share this book by Kelly Brooks-Bay and illustrated by Lindsay Weirich, because we think it is a fun way to learn about colors AND feelings. Kelly Brooks-Bay graduated with her master's degree in Counselor Education in 2008 from the University of Maine. 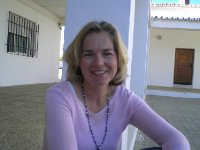 Kelly has used writing, pictures, and story telling in many aspects of teaching and counseling children. She is a twin and a mother of twin boys. She was born and raised in Maine and it is where she continues to live with her husband and three sons. 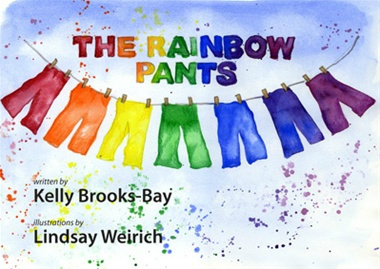 What convinced you to write "The Rainbow Pants"? When I actually put the two ideas together I was at the playground with my boys and had to write most of the ideas on scrap paper and napkins. I watched how my three kids and the other kids are all so very different yet the same. Very much like Peter T. Peacock in The Rainbow Pants, acceptance of all people is a story that I hope to share with all people no matter the age. 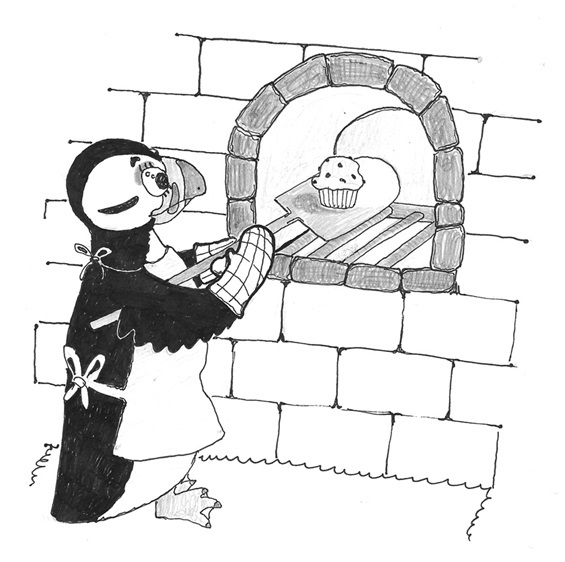 I am currently working on a pirate story as well as a spin on the three little pigs. Writing on just one story is very hard for me. It depends on my mood if I feel like sailing the high sails with the pirates or making homes with the three little pigs. Thank you, Kelly. All teachers of the youngest students should have this book on their reading list. Thank you, Angela for allowing us to interview you. A simple photograph was the inspiration for the story. 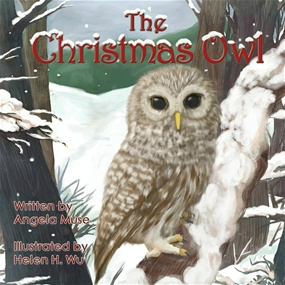 What convinced you to write "The Christmas Owl? I've been fascinated with owls for a few years now. I had started to write another Christmas story, but wasn't happy with how it was progressing. A few days after I trashed that story my brother-in-law posted a picture of a Barred Owl on Facebook that was visiting his backyard. Once I saw that photo I knew I had to write a Christmas story about an owl. I came up with the idea of an injured owl who had to rely on other creatures that are normally the owl's prey. The idea was that the owl had to trust others and they had to trust him and in return he would repay their kindness and generosity. We have several readings planned and other online promotions, but we have eight other stories perfect for preschoolers including our best selling books, The Bee Bully & Suzy Snowflake. Thank you, Angela, for sharing your charming book. All teachers of the youngest students should have this book on their reading list. This charming story book by Author John Murniek teaches children not to be afraid of spiders and other of nature's insects. Delightful illustrations by Dori Murniek. Some preschool children are fearful of bugs of any kind, especially spiders. This fear can often be toned down with books that are about cute and charming bug characters and help students to look at these buggy nature objects without fear and to treat them with respect and kindness. This is one of those books. Author, John Murnieks, has hit the nail on the head with 'Lily and the Tarantula." When not writing, John Murnieks is a technology executive. In addition to writing children's books he has some science fiction projects underway. John lives in Southern California with his wife, Erika, and their two children, who of course inspire many of his picture books and stories. I was in the garage with my daughter when she screamed and told me to look by the door. There was a tarantula! We live in California near a wilderness area, and though I was aware that tarantulas are common here, we had never seen one. What I found particularly interesting about my daughter's reaction to the tarantula was that at that age (3 1/2) she was terrified of bugs, particularly flying insects. She would get hysterical over the smallest fly buzzing around. But except for the initial surprise of seeing the tarantula, she wasn't scared. After I secured the tarantula in a glass jar, she was interested and excited to look at it, amazed at how big the spider was. We released the spider back out in the woods, and when we go on walks on the trail she still wonders if maybe we'll see the tarantula again. What convinced you to write 'Lily and the Tarantula'? I had been wanting to write a children's book for quite some time. Though I had several ideas brewing in my head, nothing really came to the forefront as a story good enough for a book. Finding the tarantula was a great catalyst. So the storyline came very easy, and since my mom is an artist, I already had an illustrator lined up! The other thing that helped convince me to write and publish the story was the advent of self-publishing resources now available. The likelihood of getting a small book like this published by a major publishing house is very small. But being that I have a bit of technical background, I was able to produce ebook and print versions of my book myself with very little cost. At current, both versions are offered through Amazon. Eventually, when I have some time I will also release it as an iBook for Apple iPad. Yes, I have another which is in draft right now, which hopefully I will release sometime in 2014. The title is "The Chalk Thief". That's about all I want to say about it for now except it will be more of a rhyming story. It is mostly written, but I am still deciding on a name for the main character, and it still needs to be illustrated. I also have another story which I want to write involving a skunk and a porcupine. Thank you, John. We'll be looking forward to seeing your next book. 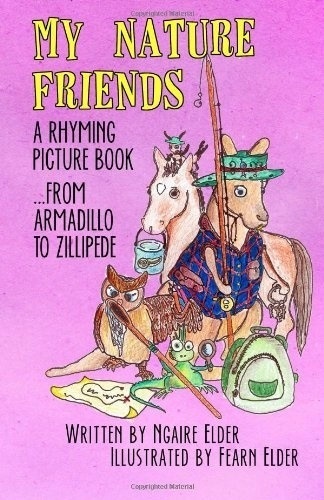 You can purchase this book for your classroom at Amazon.com.